Our One Day Underwater Photo Course is particularly aimed at photographers with a compact camera. We'll start with around two-three hours of practical hands-on instruction, with your camera on dry land. You'll learn how to achieve better control over exposure, focus and composition. Plus ways to reduce the shutter-lag on your camera. Shutter Lag is the time between pressing the shutter release and the actual photo being taken by digital camera's. 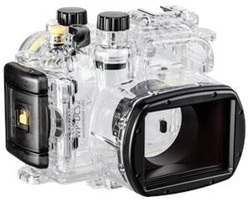 It is one of the most complained-about aspects of underwater digital photography using compact camera's. Next we will run you through a set of basic care and maintenance procedures to maximise the life of your camera and housing and answer any questions you may have regarding the use of your camera. After the morning half-day session, we dive together and search-out underwater subjects together. We will run a series of test exposures with your camera in its housing. Then record these and provide you with an easy method to recall these settings later. The theory you learnt in the morning will be used to capture images of the fantastic marine life and underwater scenery around Tulamben. You will be able to review the techniques learnt above water and apply them to actual underwater subjects. Jeff will dive one-on-one with you, and after the dive will spend time reviewing images to fine-tune the techniques learnt and guide you with details of what went wrong and what went right with your shots. So the next time you dive, you'll be bringing home photos you'll be proud to show-off to your family & friends. Our Two Day Underwater Photo Course is aimed at photographers who may have either a Housed DSLR, a Mirrorless Camera, or an Advanced Compact Camera, with external strobe/s. These are more complex camera set-up's that require time to master the art of exposure control, focus techniques and composition. We'll begin with understanding the camera and its menu's, so that we are in-control, not the camera! 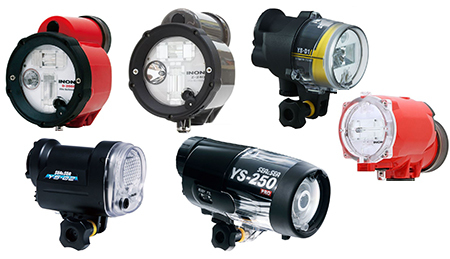 We'll cover the positioning of strobes and optimum power output in different situations. As well as the best ISO setting for each type of photography. We will also set-up some pre-set exposures, so you aren't guessing where to start. You will then be able to jump-in and be better able to get correct exposure easily. Giving you the opportunity to concentrate on composition and creative lighting. We'll conduct some dives together and critique the results after, so you can better understand where you may be going wrong. Then depending on how much time we have, you may wish to learn some simple editing techniques that will bring-out the best in your underwater photos with Adobe Lightroom. So you've beeen taking underwater photos for a while, but feel you aren't improving? Then Jeff can help you better understand your camera and take control of exposure, sharpness, composition and strobe powers. Perhaps your camera has the ability to take RAW images, but you don't fully understand the advantages? Have you recently purchased a new strobe, a new lens or perhaps a new camera and would like to take full advantage of their capabilities? Perhaps you want to expand into wide angle photography after you have been exclusivley taking macro underwater photos? We offer an underwater photo course with a flexible outline tailored to suit your needs. This can be a half day of above-water instruction with your own equipment, or it can be a combination of half day of above-water instruction followed by a few escorted dives to be helped along with difficulties you may be experiencing with technique or equipment use. Just let us know what you would like to learn and we will suggest a custom photo course structure to suit your needs and give you maximum improvement potential. Check-out our "Photo Student of the Month" photos at our Flickr site (or just click on the images above). This month's photos are from Australian Photographer Cherry Masicap , who visited us with her Olympus TG4 in a Nauticam housing, with twin Inon S2000 strobes. Do You Have a Leak Warning Device in Your Housing? Jeff has designed and is now producing an Underwater Camera Housing Leak Detector for Underwater Camera & Video Housings. It senses any moisture (or water) inside the housing and alerts the photographer with a flashing Hi-Intensity LED (Light Emitting Diode). 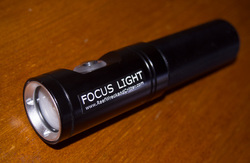 The unit only costs US$36 including postage worldwide, and is easily fitted by the end-user without tools in minutes. NEWS ** June 2016 - We have now just exceeded sales of 7000 Leak Detectors Worldwide!! 67mm Wet Macro Lenses +10 (USD$98) and +20 (USD$148) + Postage. Visit our Underwater Photo Accessories page for more details. Would you like to learn about the care & maintenance of your Underwater Camera Housing? Check out our Underwater Camera Housing Maintenance page for some great tips for caring for your housing.